Black Rhino Combat is an aggressive off-road wheel for your set up. Black Rhino Combat is an aggressive off-road wheel for your set up. Its armor-like aesthetic and chiselled lip are combined with high end precision machined styling. Five robust spokes are deeply recessed in this custom off-road wheel’s barrel, giving Combat a high strength. To cover the full range of stock & lifted 4x4 & SUV vehicles the wheel is available in a range of sizes 17”, 18”, 20” & 22” with offsets ranging from -76mm to +12mm for 5, 6 & 8 lug patterns. These wheels sport huge lips to provide safe bead seating for tyres. Finished in Gloss Black. 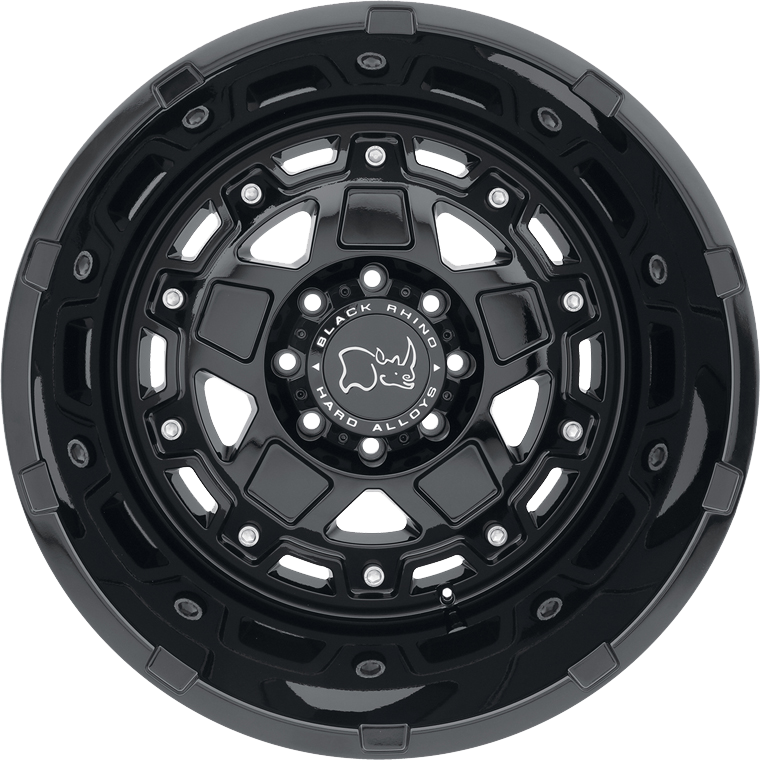 Each Black Rhino wheel is engineered to carry the heavy loads often associated with 4x4’s & SUV’s. All wheels are supplied with fitting hardware where applicable.